The oil and gas industry gets a hard time where environmental impact and sustainability are concerned, but that doesn’t mean organisations in this sector aren’t doing their bit to be greener. An increasing number are identifying the value of their food wastes, explains Tidy Planet’s sales manager, Huw Crampton. It’s widely recognised that the process of producing oil and gas contributes to atmospheric pollution. However, what’s perhaps lesser known is that at a lot of these production sites have environmentally conscious ways of dealing with wastes, and reducing pollution is employed as a matter of course. In recent years, one of the last waste streams on the industry radar – yet one of the most polluting regarding GHG emissions – is food waste. But, there’s now a positive trend in sites looking to turn these wastes into a resource – in the form of energy or compost – which consequently converts into both environmental and bottom-line benefits. Given most of the world’s hydrocarbon resources are situated in – or near – desert or arctic conditions, the remote locations of oil and gas bases mean disposal of wastes generated on-site often involves long-distance transportation. However, given many countries – especially those less-developed – don’t have the recycling infrastructure to deal with these wastes in a circular way, the unfortunate end-destination is landfill, at facilities which are sometimes over 150 km away. How can oil companies close the loop themselves? At many of the larger oil fields, tonnes of food wastes are generated from the workers’ canteens weekly. Omitting the waste-handling middlemen is of course a financial incentive for organisations, but of paramount importance is the positive effect this autonomy has on contributing to a less linear economy and greater resource security. It’s not just the transportation problems associated with remote locations which pose issues when trying to dispose of on-site waste though – isolated settings often experience extreme temperatures. For example, in high heat, organic wastes are subject to putrefaction, which then creates issues where odour, vermin and sanitation are concerned. While sub-zero solutions have also been sought to help deal with scavenging bears and wolves that have been attracted to the wastes. In some cases, having an on-site solution is as much needed for minimising transportation as the physical safety of the workers. Having worked on a plethora of projects in the oil and gas arena, there are three notable ways to minimise the volume of food waste or recover it as a resource – industrial drying, composting and Waste-to-Energy solutions. An oil and gas facility in the Sahara Desert needed a solution that could process up to three tonnes of food wastes per week, and has turned to using a heavy-duty food waste reduction system – able to reduce the volume and weight of the food wastes by up to 90%. This is done by shredding and evaporating the water from the waste, before converting it into a dried, sterile and stabilised powder. A key plus-point for any desert-based site is that the resulting coffee-granule-like ash deposit can either be used as a biofuel to generate thermal energy, or it can be stored for numerous weeks without any decomposition. In the latter case, this not only makes the handling much easier – due to the dramatic volume decrease – but if the inevitable destination is landfill, it makes transportation fees cheaper and keeps the operation cleaner and more cost-effective. Most people don’t realise that waste food can be converted into a biomass fuel for generating heat and thermal energy, but this is exactly what projects in Georgia and Azerbaijan achieved. Seven workers’ camps in the South Caucasus needed to better utilise their food waste. Now, after the wastes are converted into powder using Gobi Dryers, the residue – highly calorific in value – is fed into an on-site biomass system to produce energy. But what’s advantageous to not just this site, but all remote companies in the industry, is that this energy can be used to create hot water across the camp – in the kitchens and gas workers’ shower blocks – saving on utility consumption and eliminating disposal costs altogether. 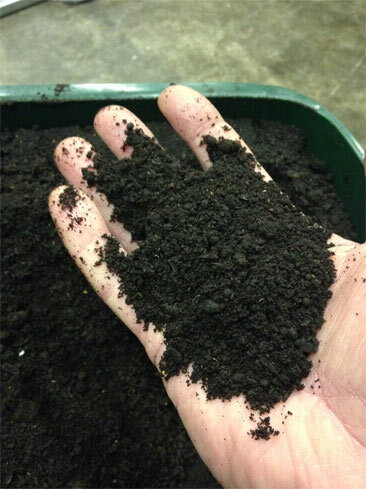 Finally, while energy is one useful output for the sector, compost is most certainly another. 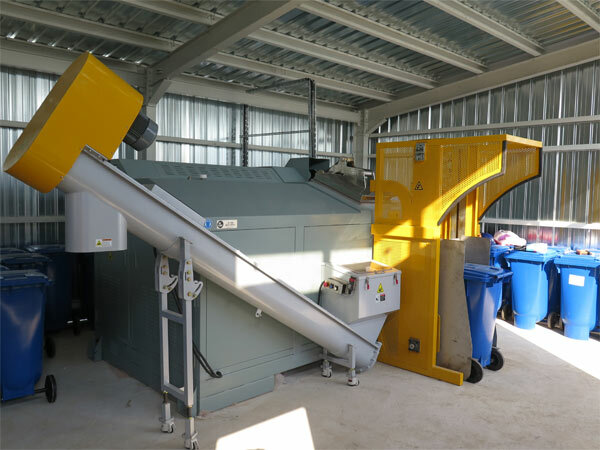 What many industry professionals are unaware of is that food wastes from the on-site canteens can be collected and processed – together with shredded wood wastes – by an In-Vessel Composter (IVC), to create a nutrient-rich compost. And, as the saying goes, you get out of it what you put in – that’s certainly the case with composting, as this can then be used in land remediation works along pipelines, as well as for overall soil improvement around the often greenery-deficient sites. Because of the financial and environmental wealth to be gained from closing the food waste loop, it’s easy to see why on-site solutions like these are becoming increasingly popular in the oil and gas industry. It’s not only a savvy way for companies to reduce carbon emissions and boost their green credentials, but it also enables them to save money in the long run.